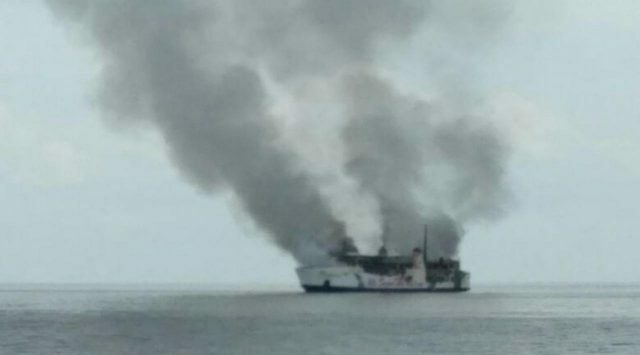 The 90 meter long, 630 dwt ro-ro passenger ferry Dharma Kencana II caught fire in the Java Sea between Pontianak and Semarang, Indonesia. 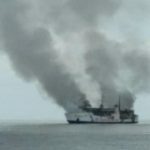 The Dharma Kencana II had departed from Pontianak with 119 passengers and 46 vehicles when the crew found a fire broke out on the lower deck. 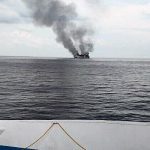 Unable to contain the blaze, the vessel sent out a distress call. 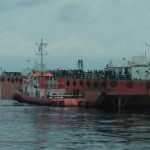 A number of nearby vessels responded including the KM Kirana I Kumai, KM Flores, Sewa Sadewa along with several other vessels. 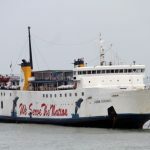 Passengers and crew abandoned ship and were evacuated to the KM Kirana I Kumai. No reports of injuries reported. 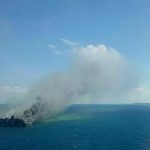 Reports state the superstructure of the Dharma Kencana II was totally gutted by the fire, but the ferry remained afloat.